Bu çalışmada, SOM tipinde yapay sinir ağları kullanılarak Türkiye’nin ihracat yaptığı ülkeler kümelenmiştir. SOM sinir ağları ile kurulan modeller, veriler için herhangi bir dağılım ve korelasyon varsayımı içermemektedir. Ayrıca, bu modeller verilerdeki satır sayısı ve değişken sayısı arttıkça daha iyi sonuç vermektedir. Üstelik, bu modeller, elde edilen kümelerin topolojik komşuluğunu da vermektedir. Bu sebeple, klasik istatistiksel kümeleme yöntemleri yerine SOM sinir ağları tercih edilmiştir. Cheng, B.and D. M. Titterington (1994), “Neural Networks: A Review from a Statistical Perspective.”, Statistical Science, Vol. 9, No,1,2-54. Choudhary, B. and P. Bhattacharyya (2002), “Text Clustering Using Semantics.”, The Eleventh International World Wide Web Conference. Creedy, J.and Vance L. Martin (1997), Nonlinear Economic Models, Cheltenham, UK: Edward Elgar Publishing Ltd .
Fausett, Laurene (1994),Fundamentals of Neural Networks, NJ:Prentice Hall. Graupe, Daniel (1997), Principles of Artificial Neural Networks, Singapore: World Scientific Publishing. Honkela, T., S. Kaski, K. Lagus and T. Kohonen ( 1997), “WEBSOM-SelfOrganizing Maps of Document Collections.”, Proceedings of WSOM'97, Workshop on Self-Organizing Maps, Espoo, Finland, June 4-6. Hsu, Arthur L. and S. K. Halgamuge (2003), “Enhancement of Topology Preservation and Hierchical Dynamic Self- Organizing Maps for Data Visulisation.”,International Journal of Approximate Reasoning. Jin, H., Wing-Ho Shum, Kwong-Sak Leung and Man-Leung WONG (2003), “Expanding Self-Organizing Map For Data Visualization And Cluster Analysis.”, Information Sciences. Johnson, R. A. and D. W. Wichern (1988), Applied Multivariate Statistical Analysis, New Jersey: Prentice Hall. Kangas, Jari A., T. Kohonen and Jorma T. Laaksonen (1990), “Variants of Self-Organizing Maps.”, IEEE Transactions on Neural Networks Vol. 1. Kaski, S. and T. Kohonen (1995), “Exploratory Data Analysis By the SelfOrganizing Map: Structures of Welfare and Poverty in the World.”, Proceedings of the Third International Conference on Neural Networks in the Capital Markets, London. Kohonen, Teuvo (2001), Self-Organizing Maps, Berlin:Springer. Lagus, K., S. Kaski and T. Kohonen (2003), “Mining Massive Document Collections by the WEBSOM Method.”, Information Sciences. Lagus, K., T.Honkela, S. Kaski and T. Kohonen (1996), “Self-Organizing Maps of Document Collections: A New Approach to Interactive Exploration.”, Proceedings of the Second International Conference on Knowledge Discovery and Data Mining, California: AAAI Press, Menlo Park, pages 238-243. Larkin, George Richard (1999), “ Policy Subsystem Portfolio Management:A Neural Network Model of the Gulf of Mexico Program.” (Yayınlanmamış Doktora Tezi), Virginia: Faculty of the Virginia Polytechnic Institute and State University. Markey, Mia K., Joseph Y. Lo, Georgia D. Tourassi, Carey E. FLOYD (2003), “Self-Organizing Map for Cluster Analysis of a Breast Cancer Database.”, Artificial Intelligence in Medicine, Vol. 27, pp.113–127. Martinetz, Thomas M., Stanislav G. Berkovich, Klaus J. Schulten (1993), “Neural Gas Network for Vector Quantization and its Application to Time-Series Prediction”, IEEE Transactions on Neural Networks, Vol. 4, NO. 4. Neter, J., W. Wasserman and M. H. Kutner (1989), Applied Linear Regression Models, Boston:IRWIN. Öztemel, Ercan (2003), Yapay Sinir Ağları, İstanbul:Papatya Yayınevi. Pal, Nikhil R., James C. Bezdek and Eric C.-K. TSAO (1993), “Generalized Clustering Networks and Kohonen’s Self Organizing Scheme.”, IEEE Transactions on Neural Networks, Vol. 4, NO. 4. Plaehn, D., T. Fiez and D. Lundahl (2003), “An Advancement in Consumer Segmentation Using an Unsupervised Self-Organizing Neural Network.”, “http://www.camo.com/rt/news/infodec/neural”, WebSeminar. Sarle, W. S. (1994), “Neural Networks and Statistical Models”, Proceedings of the Nineteeth Annual SAS Users Group International Conference, Cary, NC: SAS Institute. Taner, M. Turhan (1997), “ Kohonen’s Self Organizng Networks with Conscience.”, “www.rocksolidimages.com/pdf/kohonen.pdf”. Weıjters, T., A. V. Bosch and H. J. Herik (1997), “Intelligible Neural Networks with BP-SOM.”, Proceedings of NAIC-97, the Ninth Dutch Conference on Artificial Intelligence, Helmond, Netherlans: University of Antwerp. ISNAD Bircan, Hüdaverdi , Zontul, Metin , ZONTUL, Metin , Yüksel, Ahmet Gürkan . "SOM TİPİNDE YAPAY SİNİR AĞLARINI KULLANARAK TÜRKİYE’NİN İHRACAT YAPTIĞI ÜLKELERİN KÜMELENMESİ ÜZERİNE BİR ÇALIŞMA". 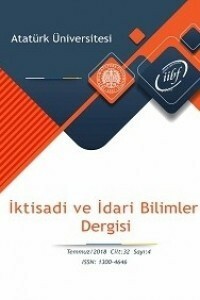 Atatürk Üniversitesi İktisadi ve İdari Bilimler Dergisi 20 / 2 (November 2010): 219-239.